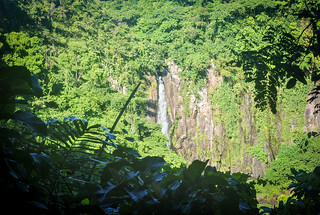 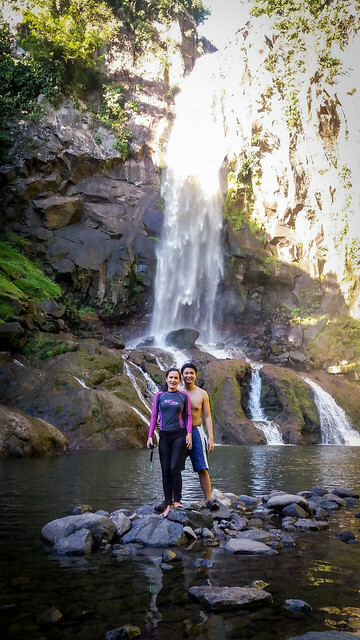 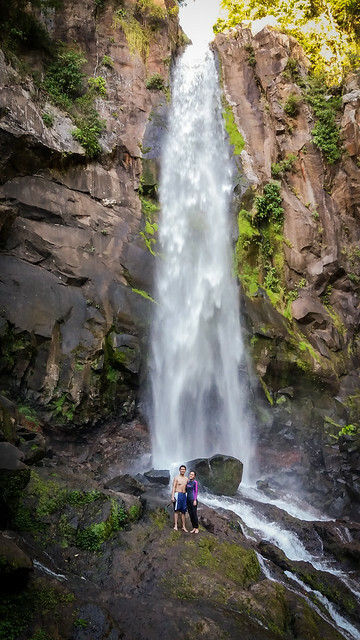 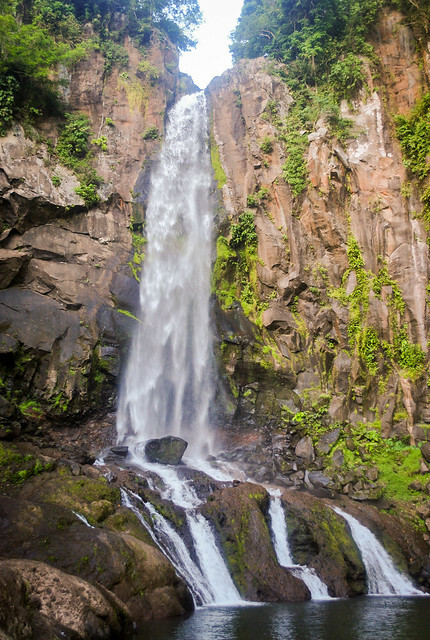 The province of Laguna is blessed with many waterfalls, one of which is this 90-ft. Buntot Palos Falls, which according to our tour guide is the highest among the province’s waterfalls, and ranked 4th nationwide during the It’s More Fun in the Philippines Department of Tourism campaign. 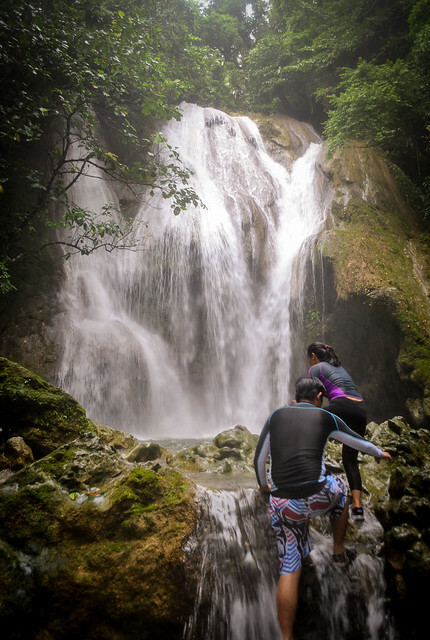 Situated in the town of Pangil, one can easily reach the jump-off point from Manila by riding an Infanta-bound bus, getting off in Famy, and then riding a tricycle to get to Panguil River Ecopark, Brgy. 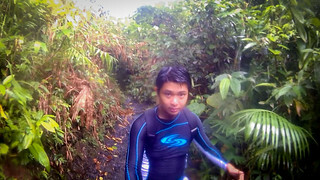 Natividad. 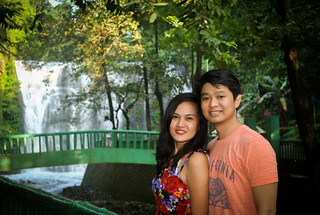 An alternative would also be taking a jeep bound for Siniloan from Robinson’s Cainta, riding another jeepney bound for Famy and then taking the tricycle. 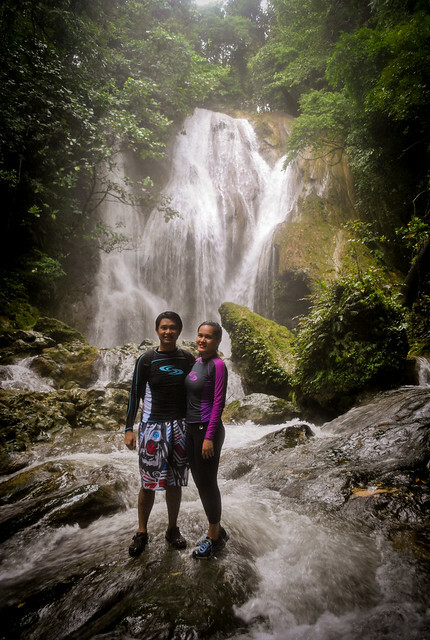 However, from the Panguil River Ecopark, it would take a 1.5 to 2-hour challenging trek, to get to this amazing view. 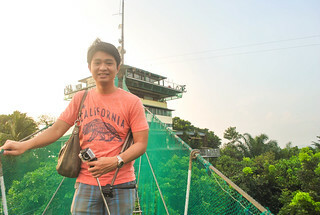 The services of a tour guide cost P500/group of 5, while entrance fees are at P25/person. 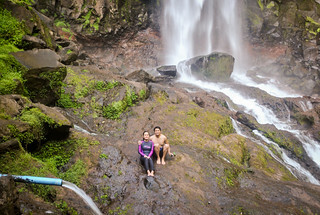 Pretty cheap for such a breathtaking experience. 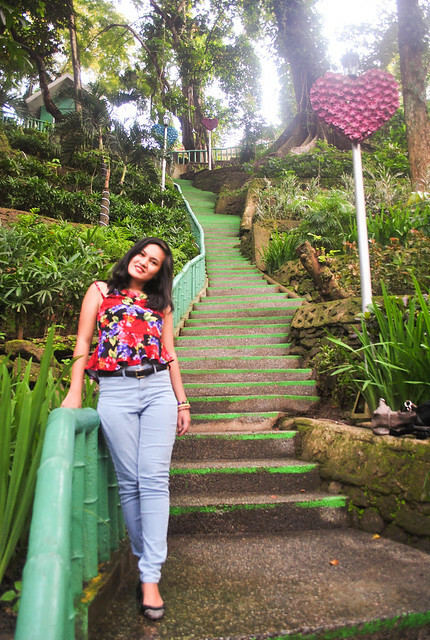 You may reach Kagawad Ester, who’s in charge, for more information at 09267001056. 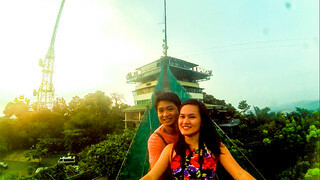 We also offer joiner’s tours; email us at couplemeetsworld@gmail.com. 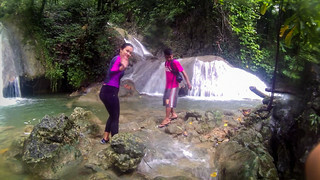 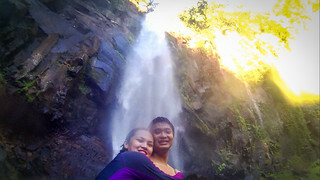 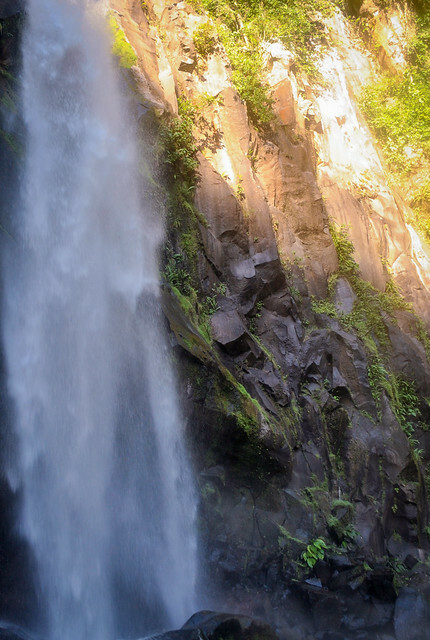 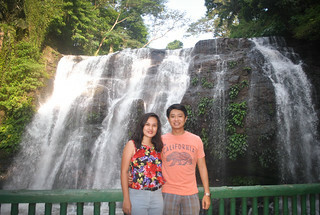 The Bantakay Falls, which still forms part of the Quezon National Forest Park, is just magnificent. 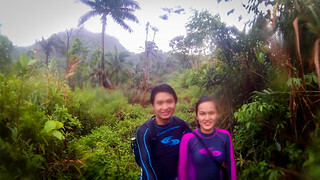 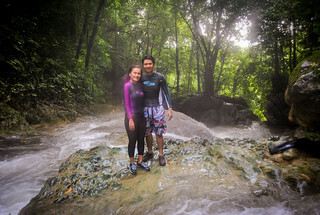 Our one-hour trek through the cemented trail, and under the rain was truly worth it. 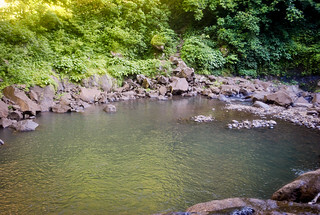 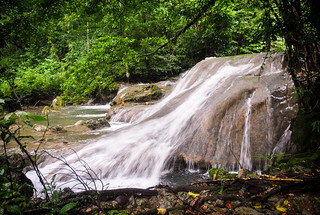 Hinulugang Taktak had been a popular tourist destination in Antipolo, Rizal for years, until its water got polluted and became not suitable for swimming. 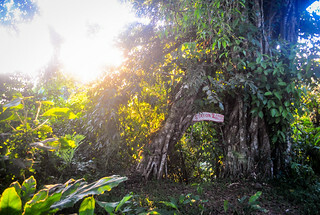 In fact in 1990, the area has also been proclaimed as a National Historical Shrine by law. 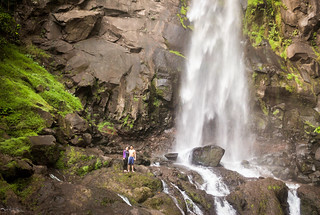 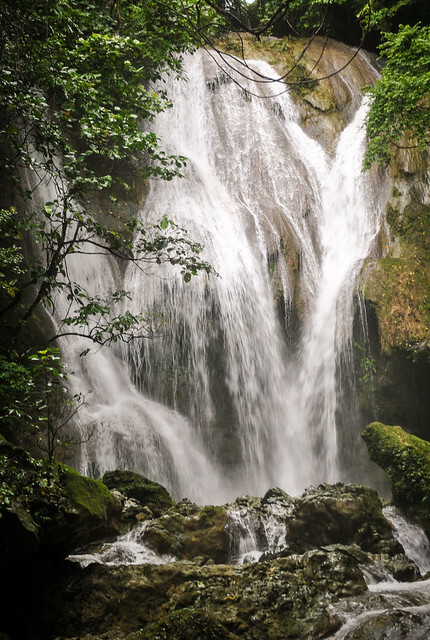 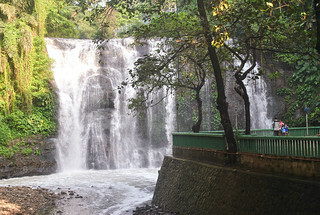 Efforts have been made by the city government to revive the waterfall and the national park’s glory, and the park has been once again opened to the public just this year. 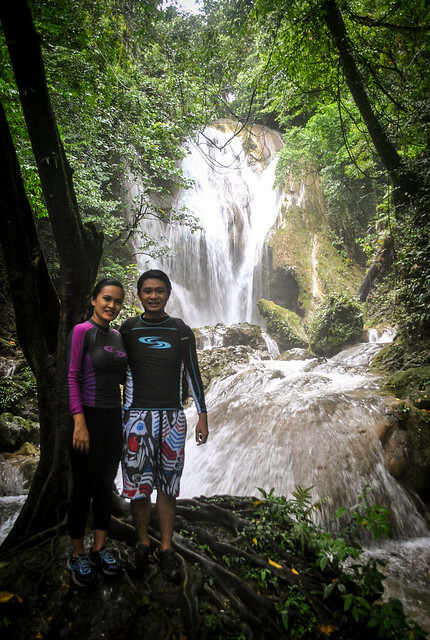 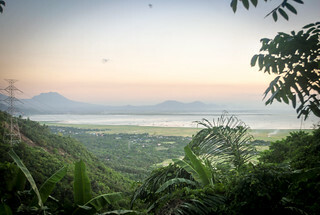 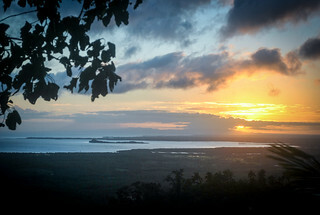 The site is protected by the DENR and does not require any entrance fees (yet). 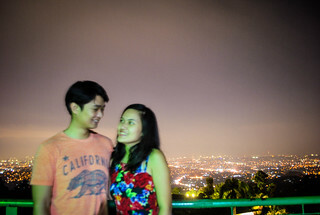 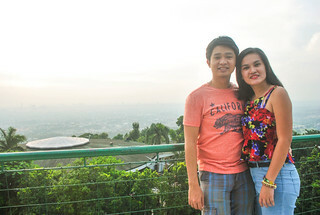 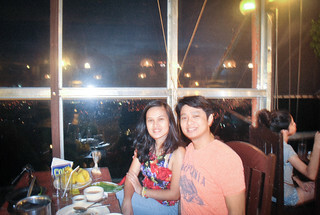 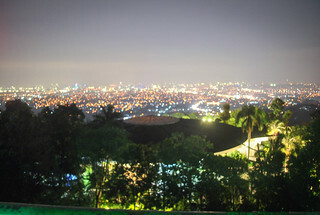 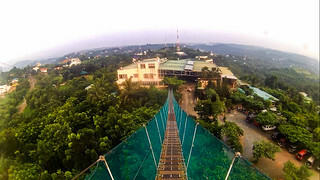 Before leaving Antipolo City, we dropped by Cloud 9 restaurant, which offers a 360 degree view of Metro Manila, after passing through a hanging bridge.